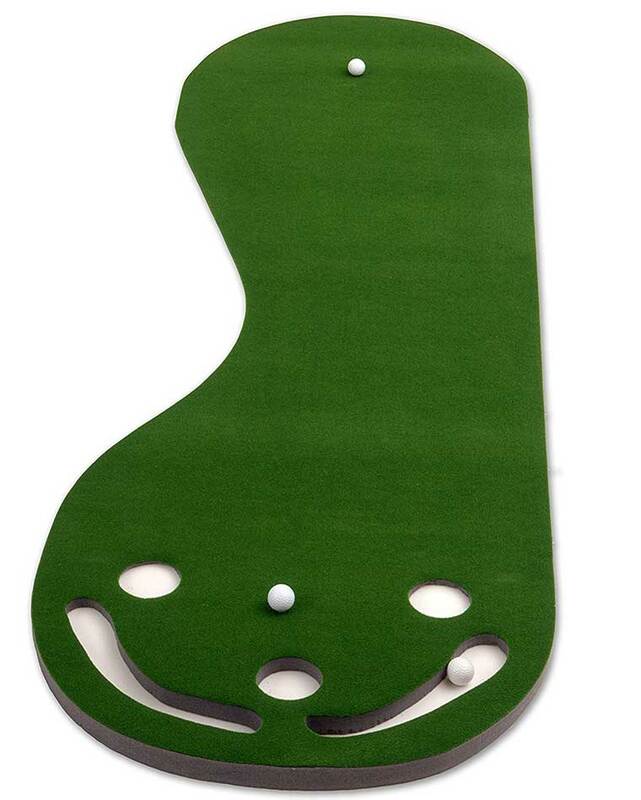 If you need a gift for someone that needs to work on their golf game, the Covasa home putting green with ball return is a great idea. The holes are on top of a slight hill to teach them to hit the ball about a foot past the hole. They can say goodbye to their putts falling short. Putt-A-Bout’s home putting carpet is a top ratted indoor golf system that extends 10 and a half feet. it even has an automatic gravity ball return, so you can worry about your golf game rather than chasing balls. 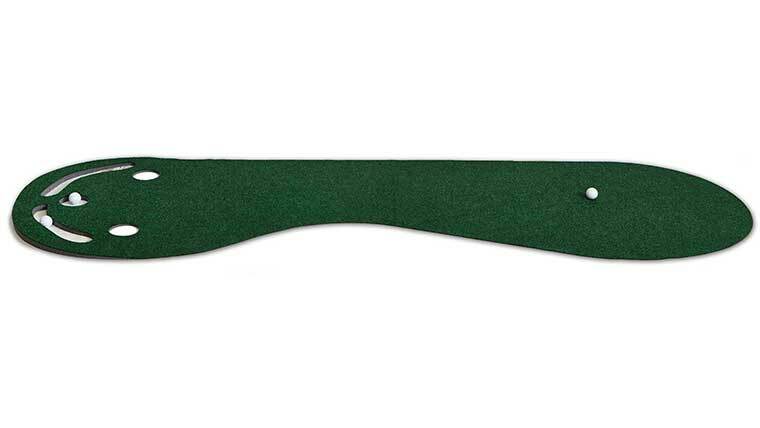 The green easily rolls up, making it easy to store. The turf is high quality and comparable to a high-end golf course green. There are 2 ball holes, so you’ll be able to increase difficulty as your game improves. An indoor home putting green is a great way to practice the fundamentals and build muscle memory.